So Last Sunday it was all about how our lives seem to be going in Different Directions more and more these days, with Poppet heading off to Beaver camp while the Stinker spent time with Pickle and I spent time with Piccalilli. On Monday I reflected on Piccalilli’s language development in Language of love or hate?! and considered the need to begin assessing kids so young! On Thursday I enjoyed thinking about how I’m Feeling the love again… with teaching. Yesterday was fantastic Forest School Friday… so I shared my thoughts on the importance of rewilding. When Pickle started in Year 1 at school in September, I was most concerned to be told that they would no longer be doing Forest school sessions due to lack of time! 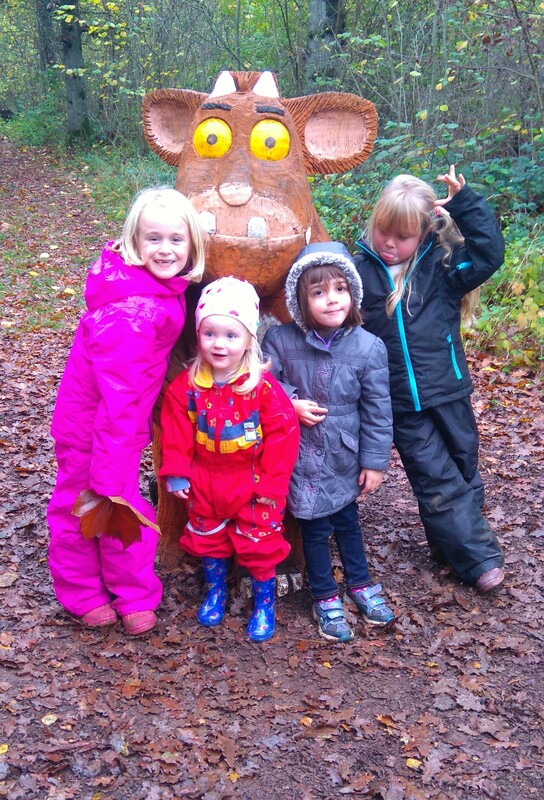 (see Where the Wild Things Are…) Being stuck indoors all day was one of the big contributory factors to her dislike of school and our decision to home ed her along with Poppet. Since that time we’ve been hunting for a good Forest school session to attend. Although we can, and do, do lots of the activities ourselves at home, there’s nothing like having someone else to do the hard-work and clearing up afterwards and a group of friends to share the fun with. We’ve been very lucky to find a great group, not too far from home, organised by a friend we’ve made through another home ed group and a trained forest school leader. So, despite the weather finally starting to feel more like winter than spring, the Ps were mega excited this morning about Forest School Friday. We wrapped up extra warm, packed the waterproofs and headed to the forest, via the shop to buy sausages to cook on the fire for lunch! The other day my dad and I were discussing someone I know who is very opinionated and dad mentioned that I used to be the same way. I have to agree that I have strong opinions about certain aspects of life (thanks for the upbringing dad! ), but I am also (increasingly, as I get older) very open to the fact that others have different views and (usually!) respect these alternative viewpoints. To me, being opinionated means that you are unwilling to even consider others’ views or simply accept that sometimes it’s okay to ‘agree to disagree’. This morning I was part of an online discussion regarding one aspect of home ed (I won’t go into detail as it’s really not that interesting!). I made a simple comment to support the lady asking the initial question; I knew not everyone would agree but really I wanted the lady who was worrying to feel some support as this is what I’ve always thought these groups were for! The negative (and downright rude in some cases) responses to my and other comments shocked me and left me feeling disappointed that I am linked to some of these people by the association of home ed. It made me seriously question my place within that particular online group and I have since left it. The thing that riled me most was people being so narrow minded and making assumptions about me and other people who were supporting the lady who had asked the question… One response made the assumption that, because I’m an ex-teacher, my children must spend their days stuck at desks doing formal learning. She couldn’t be further from the truth, but I stayed calm (the Stinker will be proud! ), removed myself from the discussion and took the 3 Ps for a walk around the old, local quarry site with a friend. They climbed, swung, fossil-hunted, drank hot chocolate, pretended to be dinosaurs (oh, and Piccalilli had a little strop!) and didn’t once sit down at a desk to do any writing! When we returned home we spent hours doing formal sit-down maths… only joking! We designed mehndi patterns and had a go at decorating our hands for Diwali – Poppet commented how it was much more fun than anything she’d ever done in school! Teaching my children about different views is important to me… sitting at desks to do so is not! Wet and Windy Woodland Walks. We are really lucky to live in a beautiful area of England (Gloucestershire, on the edge of the Cotswolds) and try to take advantage of this – whatever the weather. Despite the unseasonably warm weather at the moment, it has been quite wet and windy. In my opinion one of the best places to be in this sort of weather is the woods, sheltered by the trees. So today we wrapped up in warm, wet weather gear and headed to meet my best friend from uni days and her family (who have sadly moved a few hours away but were in the area visiting family). Our three girls get on so well with their two (aged 1 and 3 years old) and it always amazes me how they just slot together and play so well despite seeing each other infrequently. Today’s walk included a lot of playing ‘home’ (I’m sure it would have taken at least half the time without the playing!). I loved the way they used the roots of a huge tree as their kitchen, huge leaves (really big – bigger than our heads!) as plates, sticks as spoons. At one point they disappeared off under a large cluster of evergreen trees which became their house of course! They collected leaves and twigs and collaborated to make a Stickman picture (inspired by the Gruffalo’s child sculpture in the wood). They staged their own photo shoots, organising themselves into positions and demanding all the adults took a photo while they chanted “Stinky smelly socks!” They played together in the playground, helping everyone to join in at their own level. There was no arguing and everyone joined in in their own way with no expectations. I’m aware this is often the case with mixed age groups – they seem to get on better as there’s less competition.